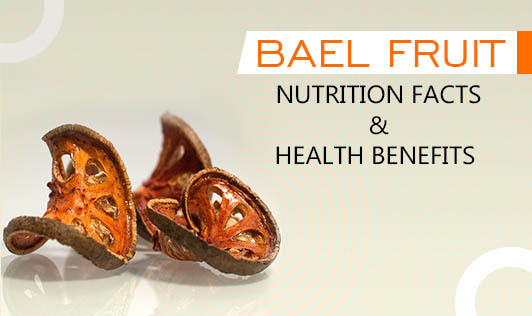 Bael fruit, also known as wood apple is actually a herb extensively cultivated in India and Sri Lanka. It is one of the favorite foods of elephants and also called as elephant fruit. It has various medicinal uses and is considered as a very sacred fruit in India. It’s pretty popular in the food industry as well and is used to make jams and ice creams. Because it has the ability to remove toxins in the body, it is popularly used for blood cleansing and also reduces stress on the kidneys. The root of the Bael fruit tree is known to soothe ear pain in adults, children, and infants. It is used in most ayurvedic treatments. The presence of high amount of vitamin C in Bael Fruit helps with building immunity and fighting against viral and bacterial infections. It is good for diabetic patients as it helps to manage blood sugar levels and induces the production of insulin in the body. The leaves help the body fight against flu and also against normal respiratory disorders. The juice of the fruit is given to infants during winter to avoid cold and infections. It also helps in curing many stomach problems such as indigestion, diarrhea, and constipation. It cools the body and helps in avoiding mouth and stomach ulcers. It is given to lactating mothers especially during winters to help them fight against allergies and infections and it also helps to increase the producton of breast milk. It’s a stay happy fruit as it is also known to treat sexual dysfunctions in the body. Include this herb in your diet to stay fit and healthy!